Despite the fact that NFL players and team owners can't see eye to eye as they try to prevent the 2011-12 season from being canceled, the NFL draft will go on starting April 28th and lasting through the 30th. And thanks to Verizon's exclusive NFL Mobile app, the same time that a draftee gets the call about what team has drafted him, you will find out that information right on your Verizon branded handset. Every pick and every trade will be sent to your phone. And you will also receive analysis from NFL experts who have studied the draft and know the players better than they know the back of their handset. Video highlights will show the draftees in action so that the picks become more than just a name and college. 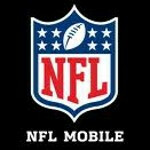 To get the NFL Mobile app and follow the draft, simply text NFL to 8915. Or, head over to the source link and follow the directions on how to have the app installed on your Verizon phone. A link to a list of compatible phones can also be found at the source link.